ThCondemn the Israeli Killings of Palestinian People on Palestinian Land Day! Israeli army forces on March 30 shot and killed 17 Palestinians, injuring over 1,000 others with live fire, rubber bullets and tear gas. Workers’ Weekly unreservedly condemns this premeditated crime of collective punishment by the Zionist occupiers of Palestine. 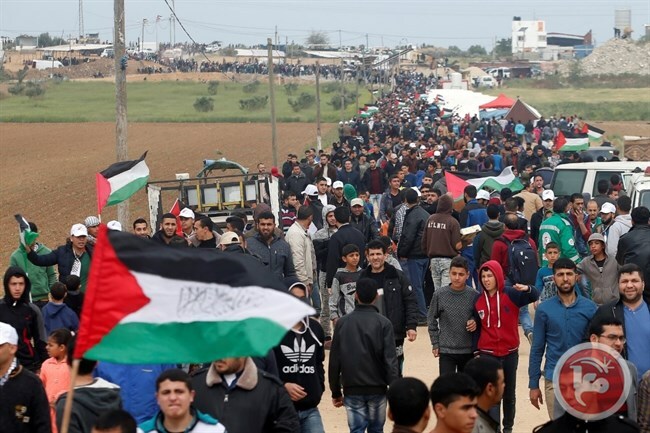 This year, the 42nd anniversary of Palestinian Land Day was marked by a Mass March of Return, with thousands of people from Gaza and the West Bank marching for over 46 days converging on the Gaza Strip’s roughly 28-mile-long eastern border with Israel. 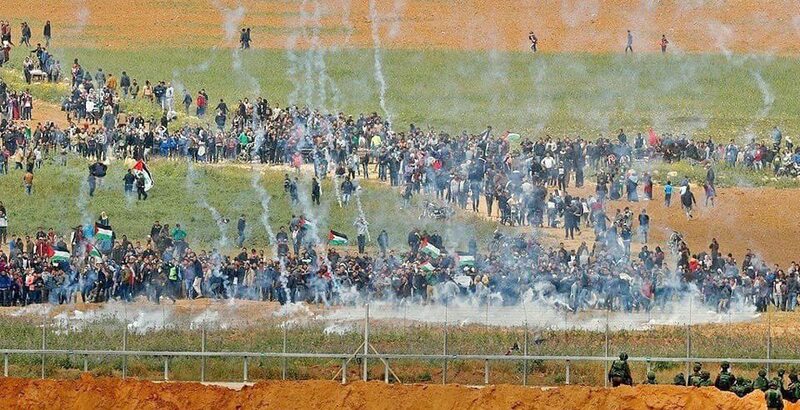 The action is to culminate on May 14 to mark the 70th anniversary of Al Nakba (the catastrophe) in which the brutal and genocidal displacement of the Palestinian people accompanied the creation of the Zionist state of Israel. 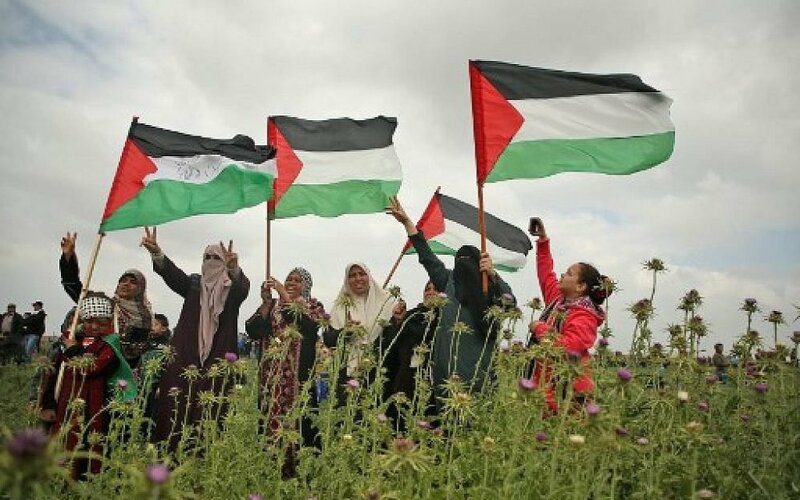 Land Day itself commemorates March 30, 1976, when six Palestinians from Arab villages inside the Green Line were shot and killed by Israeli forces while protesting the confiscation of 5,500 acres of land from the Galilee. The unquenchable resistance of the Palestinian people to the Zionist occupiers is just and is their right. Prior to the March 30 demonstration, the Palestine’s Ministry of Foreign Affairs and Expatriates strongly condemned Zionist threats, noting that “the most prominent of these threats is the statement of the Israeli Chief of General Staff of the Israeli Defence Forces, Gadi Eizenkot. “Eizenkot bragged that he had given a death warrant to hundreds of snipers deployed on the border of the Gaza Strip and to target unarmed Palestinian citizens participating in peaceful protests. Eizenkot justified this radical statement: ‘If the snipers feel the lives of Israelis are under threat,’ which reminds us of the same statement that was authorised by the Israeli government’s decision to allow Israeli soldiers to kill Palestinian citizens as they wish, which resulted in hundreds or even thousands of executions on the ground against our people. These executions were later documented in videos that proved that these crimes against Palestinians are done with premeditation, without causing any danger to the Israeli soldiers. “Benjamin Netanyahu’s government bears full and direct responsibility for the consequences of this extremist criminal statement. “The ministry affirms that this authorization to commit murders against Palestinians is a continuation of the fascist, racist and colonial ideologies that are based on violence and organized state terrorism. Therefore, Israeli officials publicly admit that they are preparing to commit a massacre on Friday [March 30] against our people, and here we ask: What will the international community do? The Ministry assures that the failure to hold Israel accountable as an occupying force for its crimes and violations has encouraged Israeli politicians, military and security officials to continue to abuse and suppress our people, aiming to exterminate the national existence in Palestine. It should not be forgotten that for decades, British governments have criminally interfered in the Middle East and have given every assistance to the Zionist occupiers and other aggression in the Levant. Indeed, last year was the centenary of the infamous Balfour Declaration, which attempted to write the Palestinian people out of history. Britain also occupied this region in its mandate from 1923-1948, in the aftermath of the imperialist First World War, preparing the ground for the Zionist occupation. Nor must it be forgotten that the present furore about so-called anti-Semitism is directed first and foremost at those who condemn the Israeli crimes and support the Palestinian cause. In fact, it can be said that Zionism itself is a racist ideology which is being used to dehumanise the Palestinian people, demean all of humanity, and attempt to justify the outrageous crimes of Israeli Zionism. Those who committed the crimes on March 30 must be brought to justice. The British government must also be held to account. It should be noted that the government has a Minister for the Middle East, Alistair Burt, who in a statement, although saying that he was “appalled by the deaths and injuries”, slanted his remarks to cast suspicion on the Palestinian role in the violence. He commented, “There is an urgent need to establish the facts,” a need which apparently is not required when accusing Russia of the Salisbury poisoning. Furthermore, the government has been at the forefront of upholding the definition of anti-Semitism which provides succour to the Zionist occupation of Palestinian land and the crimes of Israeli Zionism. 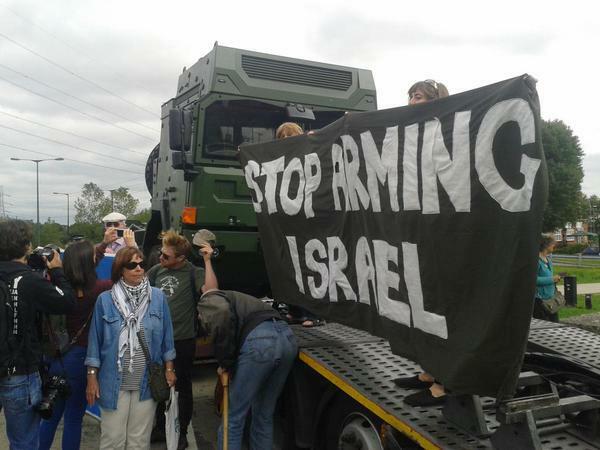 We call on the British working class and people to support the just resistance of the Palestinian people and their defence of their inalienable rights. This is part and parcel of the anti-war movement in its aim to establish a government which works for genuine peace, and support the people’s movements everywhere which are resisting aggression, war and occupation.